The 1956-57 Team in November. 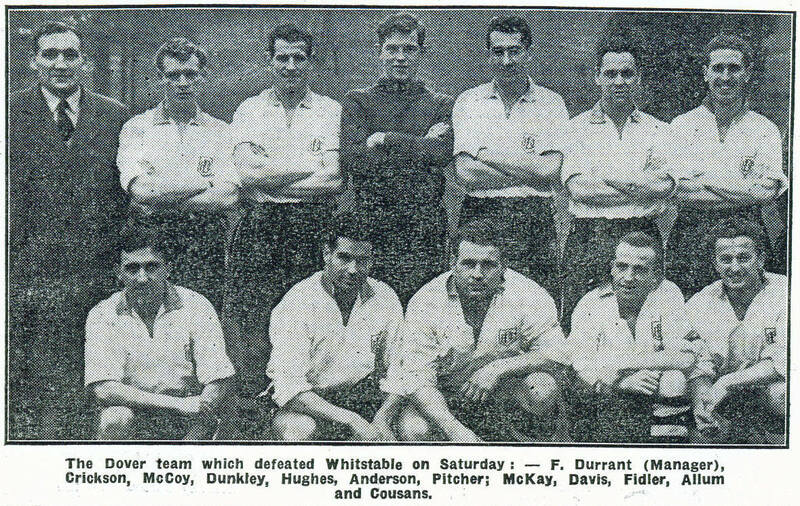 This was the Dover team that beat Whitstable 1-0 at Crabble on 17th.November, 1956. Back Row(Left to right): Fred Durrant(Manager), Tommy Crickson, Tim McCoy, George Dunkley, Arthur Hughes, Freddie Anderson, Gordon Pitcher. Front Row(Left to right): Jock McKay, Len Davis, Tom Fidler, Albert Allum, Eric Cousans.